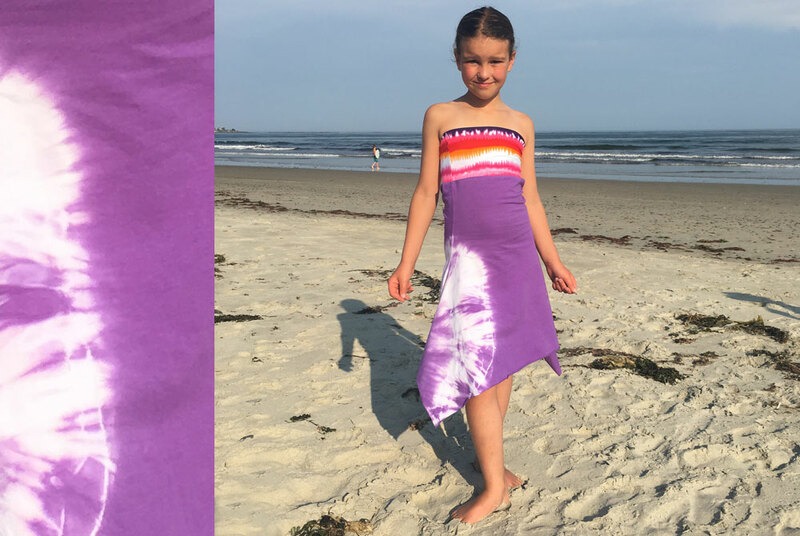 Emma happy skirt was created with love for 88 Queen nieces and step daughters. It is a replica of the swag but with a twist ; a funky recycled, stretchy, polyester waistband. Waistband varies in prints but always harmonized with tie-dye. It comes in two layer or one layer and worn as a skirt or beach dress. This lovely item makes the little ladies really feel pretty inside. Fabric is soft, light, rayonne jersey. Washing instructions are Cold wash, Hang dry. 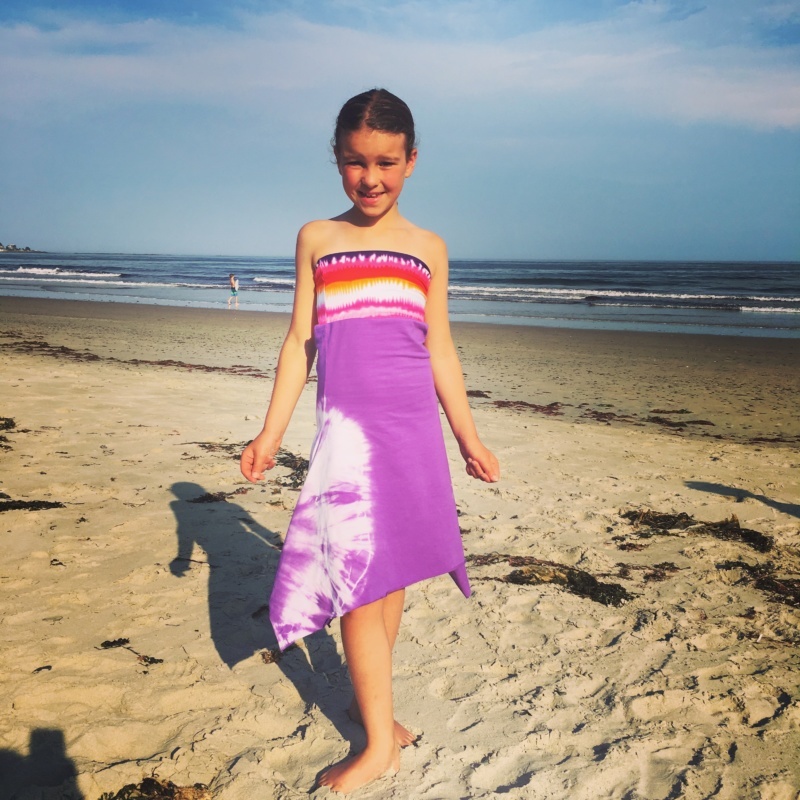 This Beauty is Lucy Dunn Mc Donald proudly wearing Emma skirt as a dress at Parson’ s Beach Maine. Lucy is from Vancouver, speaks french and english. She enjoys playing soccer and hanging out with her cousin Romeo. Her favourite colour is blue and she loves dogs.